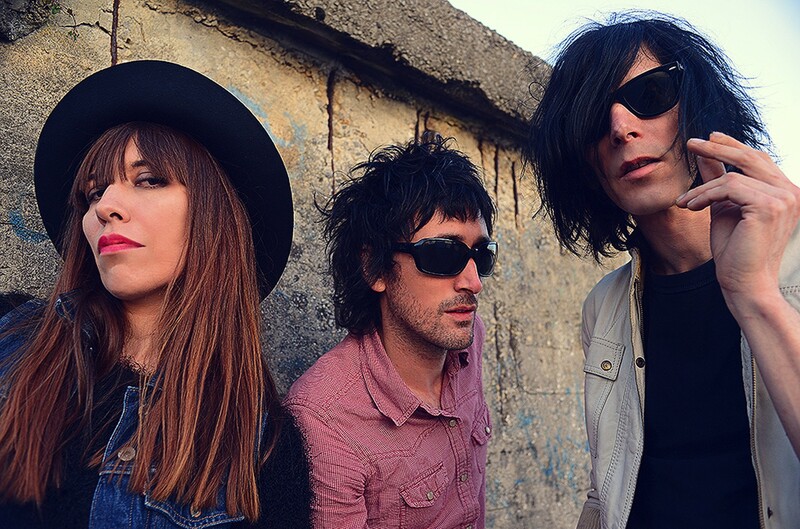 Your Girl In Music had the grand pleasure of catching up with Coni Duchess of psych-glam-punk sensation Capsula after their spectacular sonic triumph at West Hollywood’s Troubadour this month. What have you learned after 5 years together? How has the band evolved? Martin and I have been together for more than five years, so we have learned much…The main reason we still play the music is because it’s rock and roll. It made us dream through the sounds and see the dreams and lives of other people too, through their lyrics. We like to leave the sound of the band open. What are your earliest music/rock memories/experiences? How did they shape you artistically? For Martin his first show was going on bike to see The Ramones at 13 years old. Thats pretty cool. I wish I could go there too. What I remember very vividly the first time I listen to the Beatles. That junction of sounds and Lennon’s voice, opened the sky to me, showing beauty and something a little sad too beneath the surface. 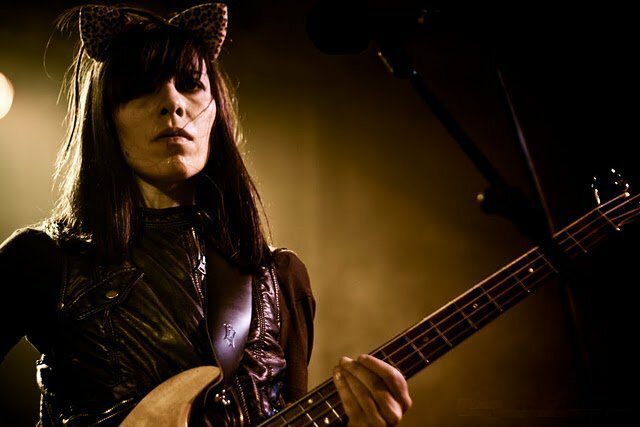 Then, the same happened with The Velvet Underground, the universe made a scratch to see through. What are you most excited about for the upcoming album? Working with Tony Visconti was a dream come true. This album is one step beyond for the sound of the band. He knows very well the way to compel everyone in the band to give their best on every take, expressing with sounds all sort of emotions. What is your most memorable moment in your career so far? Everyday is a new adventure for us. We’re touring all year long, traveling different cities and making new friends everywhere. Our everyday life is a kind of vertigo, but for sure the best part of it is making friends. Which of your songs or albums is the most personal to you and why? This new album “Solar Secrets” is the one where we express ourselves better than ever before. In our previous albums there was a kind of learning how to put the energy of the live shows on a tape in the studio environment, working with Tony it was more like trying to keep the first ideas that come form the subconscious and transforming them into sounds. You really seem to relish the live shows, what do you love most about performing live? There is something special every time you get on stage. We love that feeling of risk where anything can happen, performing live is the best for us. Bat Macumba by Os Mutantes. It’s a great song to make Brazilian choreographies! Share your Guilty Music Pleasure. Collecting vinyl records. It’s been going on forever and makes it vicious and hard to save the money from the tour when we are spending it on Vinyl at records stores.